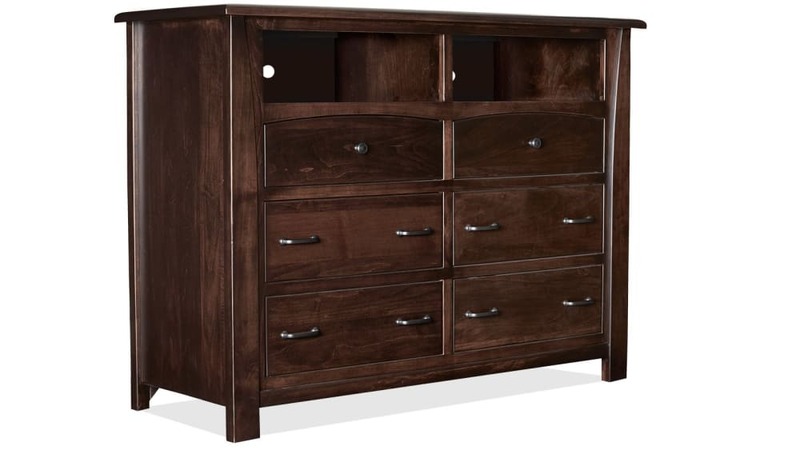 The luster of this richly stained, Made in America, solid wood media chest will enhance your bedroom and make a stunning addition to your home. 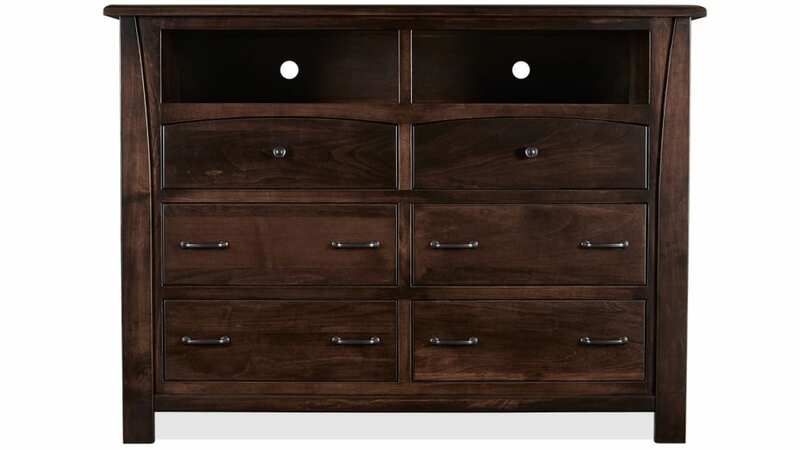 Have it delivered TODAY with Gallery Furniture's same-day delivery service! Heirloom-quality construction and materials, when treated with care, allow this media chest to last for generations. A pre-catalyzed finish, hand-rubbed to a lustrous shine, will help to protect this chest's beautiful wood. High-quality iron drawer pulls enhance the unmistakable appeal of each of the easy slide, full-extension, fully-encased, and finished drawers.